The new generation of rocking horses. 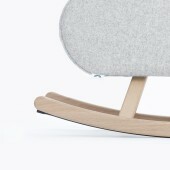 Handcrafted in the Netherlands from solid French oak with a soft finish and upholstered with the highest quality fabric made from 100% wool by Kvadrat. Rubber strips are added to the legs to make sure the floor stays nice and clean. Plus some stoppers to swing modestly. Extensively tried and independently tested, marked with CE / ASTM approval. Recommended for children over 18 months. Learn while playing. Rocking our Iconics emphasizes a child s coordination and balance skills. Besides, it is the foundation for imaginative play. Who said that a rocking horse should be an actual horse. Take the joyride. The project is launched in collaboration with Parisian Concept Store collete during the Paris Design Week and presented at Maison & Objet in September 2016. Handcrafted in the Netherlands, when using local and natural sources like solid oak and 100% wool. Materials that are long lasting and naturally child-friendly. In collaboration with a local factory and upholstering company we are able to produce high quality design pieces. Size 690 x 270 x 400 mm. The Iconic Rockers, a series of different icons (i.e. cloud, moon and watermelon) are the kick-off for designing a home & living for kids and parents alike. A world where two generations can live in harmony, rather than both have their own specific products that are totally out of style and use. In this case it should mix style, shape and materials in such a way that both grown-ups and kids enjoy using them. The challenge is to use materials and finishes that match both targets, safe in style. 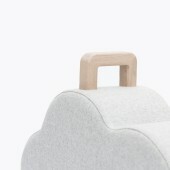 Therefor Pia chose to work with framework made from solid French oak and wool. To create a piece that shows a minimalistic design with a touch of fun. Be able to easily blend into the rest of the interior and at the same time attracts children to play and develop their skills. 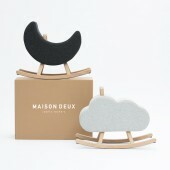 Maison Deux is a Dutch interior & lifestyle brand for kids and their parents. Founded to design fun, minimalist products for contemporary homes. All our products are crafted in Europe, made from high-quality materials that last for generations. Simple and iconic products with a playful twist. Maison Deux has the ambition to bring the home of kids and parents closer together. A home in which parents can enjoy design for kids as if it was designed for themselves. Products that blend in perfectly with the rest of your interior. 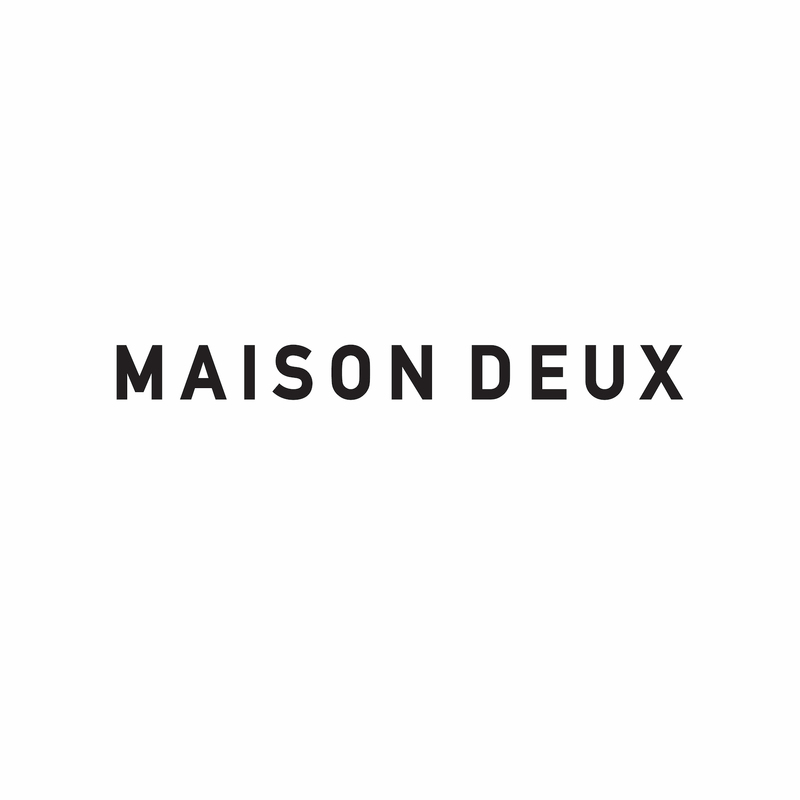 Maison Deux was founded by Pia & Woes Weinberg after the birth of their twin son and daughter. The celebration of new life and a turbulent start inspired them to build a new home. A home for kids and their parents. A home for two. Maison Deux. Iconic Cloud Chair Rocking Chair by Pia Weinberg-Maison Deux is a Nominee in Furniture, Decorative Items and Homeware Design Category. · Click here to register today inorder to be able to view the profile and other works by Pia Weinberg - Maison Deux when results are announced. Iconic Cloud Chair Rocking Chair by Pia Weinberg-Maison Deux is Winner in Furniture, Decorative Items and Homeware Design Category, 2017 - 2018. · Press Members: Login or Register to request an exclusive interview with Pia Weinberg - Maison Deux. · Click here to register inorder to view the profile and other works by Pia Weinberg - Maison Deux. Did you like Pia Weinberg-Maison Deux's Furniture Design? 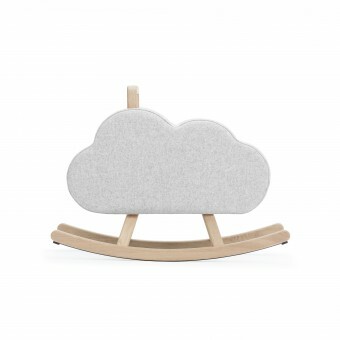 Did you like Iconic Cloud Chair Rocking Chair? Help us create a global awareness for good furniture design worldwide. Show your support for Pia Weinberg-Maison Deux, the creator of great furniture design by gifting them a nomination ticket so that we could promote more of their great furniture designs.